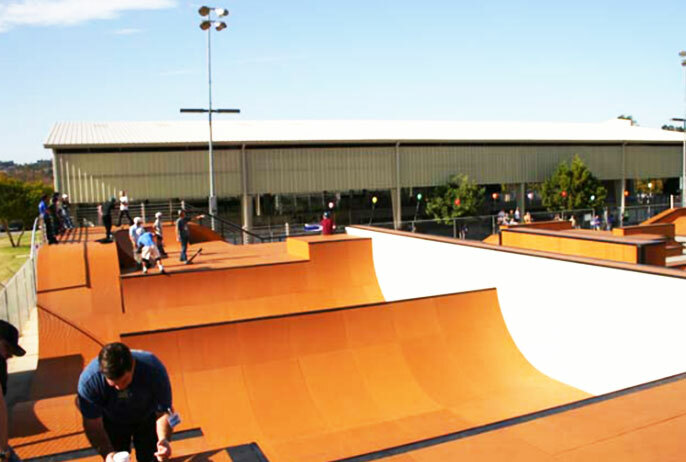 The new park layout now exceeds 22,000 square feet and has been expanded in size to incorporate a unique design, featuring hips, ledges, boxes, handrails, stairs, step-ups, spines, rollins, fly box, fun box, and much more. The park provides endless runs and innumerable challenges, and will meet the needs of all ability levels. Specifically, there are sections designed for younger skaters to learn, while still enabling them to progress to the next level and eventually reach the features reserved for the pros. The ramps are made from Ramp Armor for grip, yet allow for plenty of speed. The park is open seven days per week and has lighting for night sessions.